There are specific moments in your life that you wish you had someone to share them with and there are several friends, whom on this night, I wish I could have shared this experience. But like with every situation in life some scenarios are to be experienced alone and those memories are the ones that will stay with you forever. ‘Upstart’ is the name of my short film, it’s about a female boxer who lives in the shadow of her brother’s success as a former boxer. Mia is seeking to find who she is and where she fits in the world. Who am I? Well, I am Maria Thomas. I’m an Actress, Producer, Writer and a lot more like most people. I have so much passion about life, learning new things, discovering new places, listening to new people even the ones that annoy you. You can find my Producer page on Facebook, under Maria Thomas and I will shortly begin a page on ‘Upstart’. ‘Upstart’ is written, co-produced, co-directed and starring me. If you going to do a first project, you may as well do it all. Well, the last 12 months has been an eye opener of familial life, career, bullying, patterns of life, responsibilities and all the past memories or experiences I have gone through and still go through. There are some memories I cannot wipe away but manage them on a day to day, month to month basis. Some memories like tonight, where I look at the clock at 12:20am and remember on this New Year’s Eve like every other for the last six years; you are no longer in my life. I cannot celebrate another year with you, go shopping with you, tell you about all the exciting moments in my life or share the partner in my life with you. We are no longer a family unit because the glue that held us together is no longer there. The Have and Have Nots. Heroes (and glitches) and villains. The bourgeois and the proletariat. 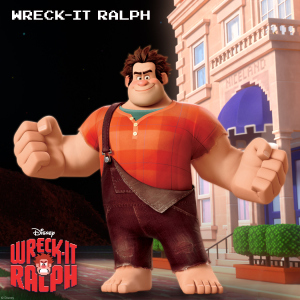 The Nicelanders live off Wreck-It Ralph’s misery as the villain and Fix-it Felix’s fame as the hero in a rigged game. I nickname it the Programmer’s Joke. Shintoist feelings that everything has a spirit definitely are present in this Toy Story for video games story. Groupthink and just wanting to fit in is a key theme in this film and maybe even most Pixar films, influenced by the American Dream. Wreck-It Ralph is this film’s Buzz Lightyear, becoming his own Neo/Morpheus and decide to take the hero pill instead of the villain pill: he starts his own journey into finding his own path, like that of a Joseph Campbell hero, instead of what his programmer, God, etc told him to do. Was I ever really alive to begin with? Would anyone even miss me? I remember, the day right before the outbreak I got fired. When I got home, I told Maria. I just needed her to say it’s OK, y’know? Just to say, don’t worry about it. That’s when she felt the need to confess she’s been having an affair. One of very few times I got angry. Funny how life can kick you when you’re down. The whole time I worked at Franklin I saw folks stab each other in the back to get ahead. Lie, steal, I saw the most amount of hypocrisy, condescension, and just blatant rudeness. And I hated it. I hated every single second of it; I tried so hard to rise above, just to get pushed back down at every turn. But I kept going, I knew I couldn’t be that guy who tells his daughters to stand up for what the believe in, and not do the same, I just couldn’t. And perhaps I let my work issues cloud my mind; evidently I was too distracted to pay attention to my wife. So she found someone who did. I tried to forgive her, I wanted to forgive her. I wanted to tell her that I understood. That was the first time I ever hit a woman. I kept hitting her over, and over, I held her down and smashed her face with my fist. I saw a film once, might have been a documentary, they said when a boy kills his mother, it’s called matricide, when a boys kills his mother, there’s usually multiple stab wounds because the boy feels some kind of liberation in overcoming the mothers control over him. When I finally got up, and gazed upon the bloody mess of a body that used to be Maria, used to be my wife, it was that thought that entered my mind. I went to my girls’ room, they could sleep through anything. They were so young, so beautiful. Such a shame they were amongst the first to get infected. Being the one who had to put a bullet through both their heads, that’s an image I’ll never forget. They say this virus; makes people crazy, that they’re no longer themselves. What I saw was creatures what only cared about their own survival; I’ve been around that long enough to know. The government announced their plans to create quarantine zones, but I didn’t want to be controlled anymore. The outbreak was mainly in the cities so I left, headed out, I don’t know which direction, I just got in my car and drove ’til I ran out of gas. Ended up maybe 10 miles outside Dallas, then I walked, and kept walking. Along the way, I killed infected, countless infected. I killed what animals I could find for food. I met some people, all kinds of people, homeless, farmers, criminals but no matter what their background was, we all had one thing in common. None of us felt like living under military control was any place we wanted to be. So we banded together, and we met more and more people like us, somewhere along the way they started to look to me as their leader. That’s all I needed, to be responsible for these good folks. There weren’t many women with us, over the years they died out, whether infected with cordyceps or unfortunate accidents. Some were killed by members of other groups. And as food got scarcer and our group got larger. It became apparent we had to take drastic measures to survive. I don’t just mean killing folks that attack us; we’d all gotten pretty used to that. Human flesh has a weird taste to it and I’m pretty sure eating too much would kill us all. So we stock pile, try to preserve the bodies, only eat if necessary. The problem I have now is what happens next? I mean, now that the women are gone. My men have been dying for years; recently a mad man and a little girl have been killing off large numbers of us. Now we have the little girl, she’s maybe 12, 13 something like that. Old enough to bear children. And I know plenty of my men would want to, shall we say, ‘have a go’. But all of us are much older, and I’m not sure I’m ready to go down that path just yet, but who’s to say we’ll get another chance. So here I am, I lost count of how old I am, I’ve killed more people than I care to remember, I’ve eaten the flesh of my enemies and now I’m contemplating breeding with a child. All in the name of survival. Be careful what you hate. It will become you. So go ahead, call me a demon. But do so knowing, I am the American dream. The aim of this case study is to examine the relationship between Ellie and Riley using Left Behind and American Dreams and look at how it affects Ellie’s character during The Last of Us. So to clarify before continuing, this will contain multiple spoilers for The Last of Us, American Dreams and Left Behind. The relationship between Ellie and Riley is a complicated one. One I believe to be more complicated than it appears. Not so much complicated in terms of how either Ellie or Riley feel about it (although that too may have its share of complexity) but more so in the sense of how to describe it. From The Last of Us, we get the impression that they were friends and even close friends. But when we go back to American dreams, we find out they weren’t really friends, at least not in the traditional sense. They meet by Riley saving Ellie from some bullies, but then stealing her walkman. Now in a world where people don’t have much stealing isn’t surprising. But what’s interesting is that when Ellie realised the walkman was stolen and confronts Riley, Ellie is angry while Riley is smiling and really doesn’t protest much before giving it back. So what does this tell us? Perhaps Riley wasn’t stealing out of need, but out of a sense of enjoyment. From the earlier conversation Ellie has with the soldier, we know that the quiet reclusive Ellie is no stranger to trouble herself. So this could be what the initial attraction was, Ellie seeing Riley as the cool older kid that isn’t afraid to break the rules, perhaps even seeing her as something to aspire to. By the end of American Dreams, I’d still be reluctant to say they are traditional friends. It is clear that Riley is impressed with Ellie’s persistence, and I think it fair to say she sees her as a kind of student, someone to show the ropes to. But there was a definite bonding moment when they had just been attacked by infected. Although not documented, the time between American Dreams and Left Behind seems to be when they were at the their happiest in terms of their relationship until Riley left to join the Fireflies, as Ellie remarks, they were better than good. So this now leads us to Left Behind, where it’s almost as if they’re meeting for the first time again. They have the awkward moments as Riley acts is if nothing has happened while Ellie wants to talk about it. It plays out similar to America Dreams in that it’s Ellie following Riley on an adventure. Through out that there are various points where it seems that they’re holding something back. And then we come to the kiss. A lot of what is currently going around on the internet is stating that Ellie and Riley are lesbians or Bi-Sexual. I don’t think that’s the case, or rather, they may very well be, but I wouldn’t draw that conclusion based on this. I think there is definitely an attraction and they definitely care for each other deeply, even deeper than they may like to admit at times. But none of that really means they see each as lovers. I could be wrong, but the real truth is, it doesn’t matter. As I said in the beginning, their relationship is complex; it’s also a very interesting one and certainly leaves a lot to think about. It’s a good feeling to know that you’ve inspired something, especially something awesome, like this poem by 9 and 3/4 year old Elias, after hearing Don’t You Dare Call My Unicorn a Pet. Beware my unicorn. Hes tough n rough And he likes to ruffle stuff. Rainbow spit Gripping feet As you probably know… he has a horn made of gold. After eating jam tarts he tends to laugh Cos this is my unicorn for all to dread… so my unicorns NOT a pet.